【明報專訊】I KNOW about a magical bookshop in Hong Kong. It's on the island-side, so you can get there easily by your preferred mode of public transportation, but the best part of the journey there is the part that takes place on foot. If you're going by MTR, your first instinct when you exit the station may be to melt into the crowds. Don't do that. There is a lot to see and you'll miss it if you play it cool and join the herd. Once you get your bearings, find a safe spot to plant yourself so you don't get run over and stop to look around. You will catch glimpses of both old and new Hong Kong. 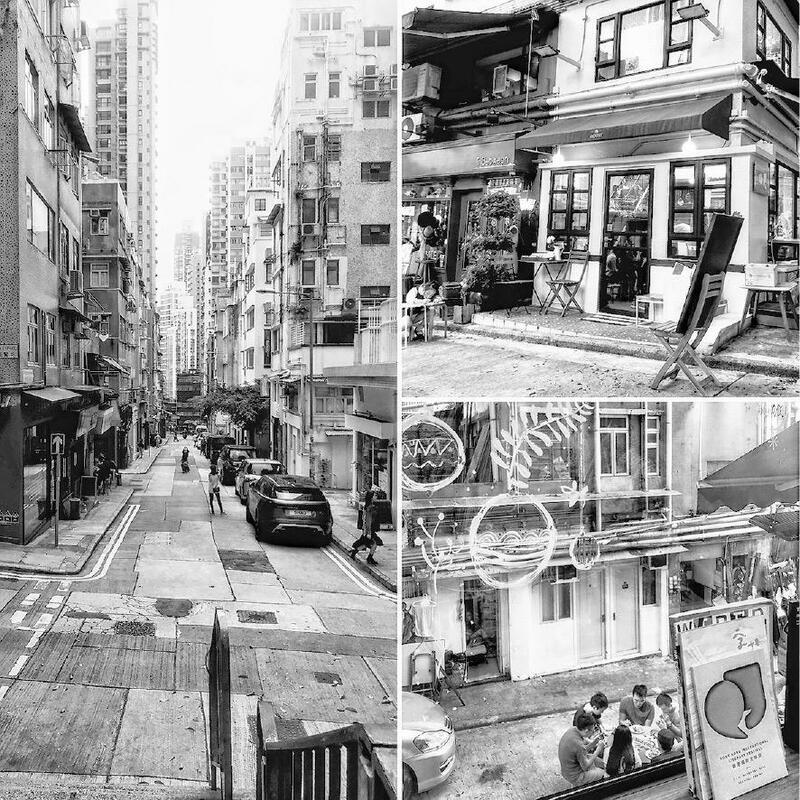 On one street you might see traditional Hong Kong-style cafes serving familiar Cantonese fare adjacent to their newer, sleeker cousins of varying cuisines. On another, you might find a range of speciality shops — think handkerchiefs and plastic tarps — opened in an age when it was neither hip nor optional to operate such establishments. The streets are narrow enough so that you know they weren't designed with the automobile age in mind. Traffic signals are few and far between. Pedestrian crossings exist by way of subtle negotiations between the driver and walker rather than by marked signs. I hope you're in decent shape because you'll have to negotiate a few steep stairways to get to the bookshop. Walking is serious, often sweaty business here in Hong Kong. Once you get past the steep climbs, you will discover that the crowds and cars and bustle have all magically disappeared. Stretching in front of you will be one of several streets, almost certainly deserted and so quiet you will be able to hear yourself think again. Rather than busy storefronts and stalls you will see street art of the edgy and not-so-edgy variety. You are close now. Walking down these eerily quiet streets you will feel like you're floating down a jetway to a plane that is about to take you to your favourite vacation destination. The bookshop is nestled at the end of a dead-end pedestrian side street, tucked away in an airy but cozy corner with chairs and tables arranged nicely in front. The corner is formed by a large stone and cement wall painted in a shade of pink. The wall shores up a large park that looms over the bookshop and gives it a kind of sanctuary effect one is more likely to find in a temple or a church than at a retail space. When you step inside the bookshop you feel like you've stepped inside a home and not a store. It is the home of a person who not only loves books but also loves all the little things in life; ones that we take for granted all the time. Look straight ahead and you'll see a nicely appointed kitchen — coffee is made fresh to order — complete with a full size refrigerator in powder blue. Look to your right and you'll see what might best be described as the ultimate picnic spread, not of food, but books, all personally curated by the owner and carefully set out. If you're lucky the owner might be around but even if she isn't you will find yourself in good hands with one of the bookshop's many readers-turned-managers. At first glance the shop might seem small. But there's a pocket staircase leading up to a second floor. Mount it and you will find yourself in another room lined with more books and also a sunny seating area that overlooks the street below. An idyllic spot for reading, people watching, or both. If you haven't already guessed, I am describing the bookshop that is Mount Zero Books in Sheung Wan. It is the kind of bookshop that perhaps Ye Olde Bookseller would have opened up had he sold books in his past life. More importantly, however, it is the kind of bookshop that makes life worth living. Today the resident bookworms at Bleak House Books will be "taking over" Mount Zero Books for the day so that we can finally experience the magic of Mount Zero Books for ourselves. And you, Dear Reader, are cordially invited to join us so that you too can see what the fuss is all about. We promise you won't be disappointed. 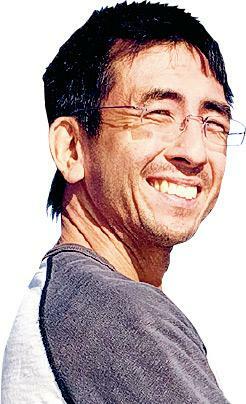 Albert Wan is the co-founder and proprietor of Bleak House Books, an English language bookstore in San Po Kong.